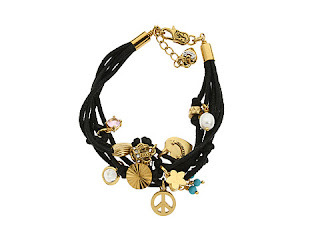 I'm not a big fan of Juicy Couture, and I don't really wear alot of jewellery, but Wow... I want this so bad! Does anyone know where I can get it from in the UK? They do it in alot of colours, but I really want the black one... someone make me happy and know where I can find it please! That's so cute! I loooove Juicy Couture. Have you tried ASOS? I'm pretty sure they sell Juicy. & fenwicks stock alot of Juicy too. just try highend boutiques near yours..or american swap with somebody?